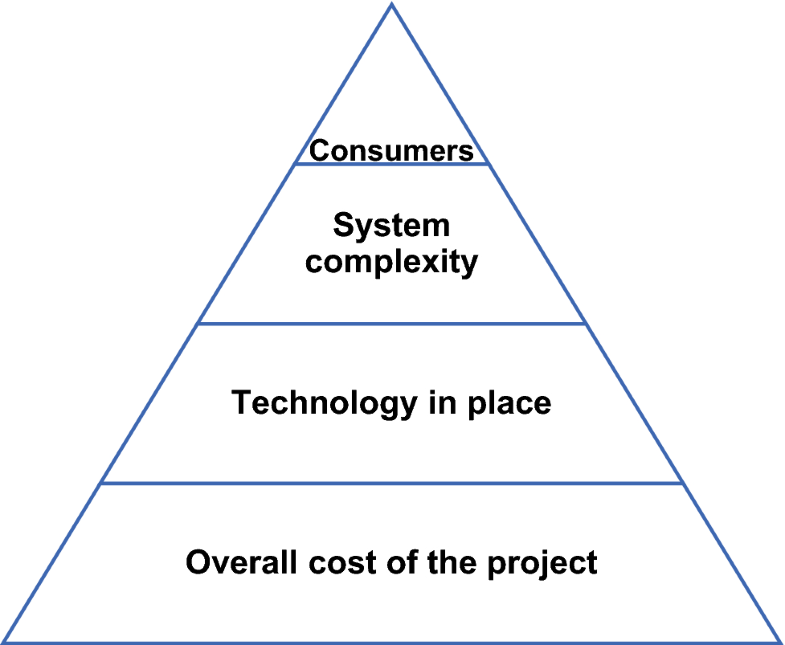 Although demand-side management (DSM) needs to be more customer centred, either with or without smart technologies (e.g. smart grid), less attention has been paid to the developing world in relation to DSM strategy development. The main reasons have been lack of appropriate technology and capital costs. Importantly, there are alternative DSM strategies that require minimum or no cost to implement and provide immediate results, of which energy-saving behaviour of the occupants at residences is one. This study explores the potentiality of this energy-saving behaviour as a DSM strategy for the least developed economies, focusing particularly on Bangladesh. The literature suggests that energy-saving behaviour could reduce energy demand by a maximum of 21.9%. However, this potential DSM scheme seems underestimated in the national DSM programme of Bangladesh. The Energy Efficiency and Conservation Master Plan (EECMP) of Bangladesh (a DSM program) shows that efficiency improvement in the use of home appliances could reduce electricity demand in the residential sector by about 28.8%, but this does require a long time to be implemented, whereas the inclusion of energy-saving behaviour as a demand response strategy in residences along with the EECMP might achieve demand reduction of up to 50.7%. Although the findings from this study are specific to Bangladesh, these could be useful guidelines for the policymakers of other developing nations where national DSM strategy development is underway. To provide for economic growth, electricity demand continues to soar, particularly in the developing world, where about 72% of this growth was met by fossil fuels in 2017; notably, this growth contributed to increasing the world’s energy-related emissions by 1.4% in this year . Meeting the peaks in demand is one of the reasons for this increased emission from electricity generation. Peak electricity demands are usually met by fossil fuel generations such as oil and gas; hence, peak demand hours are more carbon intensive than off-peak hours . This indicates the need to reduce electricity demand, in particular peak demand, which has caught the attention of many recent studies [3, 4, 5, 6, 7, 8]. Demand-side management (DSM) was found to be one of the most promising strategies in reducing peaks since the 1980s [9, 10]. However, most studies considered DSM strategies in the developed world [11, 12, 13, 14], due to the fact that making DSM more effective requires the latest technologies such as smart grid, including smart meters . Nevertheless, deployment of appropriate DSM strategies is indispensable in the developing world as well, where frequent power cuts are a common phenomenon during hours of peak demand due to insufficient generation capacities . Although it is true that DSM is a crucial strategy in reducing peaks in demand, much less attention has been paid to developing nations in relation to appropriate DSM strategy development. This study thus addresses this gap in the literature and discusses possible DSM strategies that might be useful in developing countries in reducing electricity demands, including peak demand. DSM offers benefits for both electricity providers (the supply side) and consumers (the demand side) at the same time . For example, DSM ensures grid reliability and reduces operational costs for the former, while reducing electricity costs for the latter. Considering these benefits, most developed nations are adopting smart grid technologies to better implement DSM strategies [12, 17, 18, 19, 20]. A large and growing body of recent literature has investigated DSM opportunities in the developed world [11, 20, 21, 22, 23, 24, 25]. For example, a recent study in Germany proposed a model which is able to identify and quantify DSM potential for distributed energy supply systems . Incentive-based demand response in a renewable microgrid system has been investigated considering the operational management opportunities in . Alasseri et al. (2017) found that incentive-based DSM strategies were suitable for Kuwait . Energy management opportunities through smart home technologies were investigated in  in the UK. Future demand response and its economic potential were investigated through a modelling approach in Germany . As an energy management solution, an energy hub framework along with DSM methods was proposed for buildings in Serbia . To identify electricity usage patterns in residences, a system to save electricity is proposed in Taiwan . In Austria, autonomous optimal control of a domestic hot water heater was tested towards DSM opportunities , ; similarly, a smart control of domestic hot water cylinders with respect to future DSM opportunities was investigated in New Zealand . Several studies in the literature have also considered DSM schemes that involve heating, ventilation, and air conditioning (HVAC) systems, as it is one of the dominating electricity consuming systems in buildings [33, 34, 35]. Although HVAC systems are associated with occupants’ comfort , different DSM strategies are proposed which do not breach thermal comfort of the occupants. In addition, impacts on comfort also depend on thermal characteristics of the buildings . Verrilli et al. 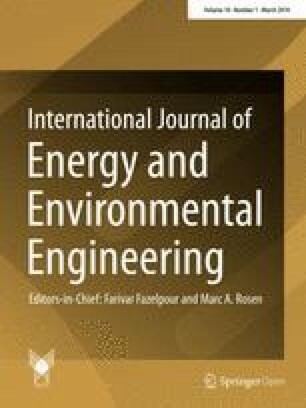 (2016) proposed an algorithm that is able to perform peak load shaving, which takes into account the time variability of renewable generations, and thermal comfort in the building in a microgrid system . Without compromising in-house thermal comfort, critical day pricing as a demand response scheme was also found effective . ‘Time of use price’ and ‘real-time price’ were also found useful as DSM strategies for the HVAC system without any occupant discomfort; these schemes were also found valuable in reducing peaks by 5–20% . Ma et al. (2016) proposed a trade-off between demand response and discomfort in a smart grid scenario through power scheduling at residences . In Austin, USA, a controller was proposed for HVAC system, which is able to curtail peak load and maintains reasonable thermal comfort . Furthermore, “potential and economics of electrical space heating in Swedish single-family dwellings” was investigated in Sweden ; direct load control in air conditioners as a DSM strategy and thermal comfort of the occupants were checked in Australia . In Canada, a rule-based technique was used in programmable communicating thermostats (e.g. in air conditioners) to improve the user friendliness of the appliances while saving energy and cost . In a similar fashion, to improve the DSM opportunities for thermostatically controlled load, a timer was proposed in a study in the USA . A study in Belgium investigated the potential of active use of structural thermal mass in relation to DSM in buildings . In addition to residential DSM options, studies were also conducted to identify the potentiality of DSM in commercial sectors such as shopping malls in Hong Kong [46, 47]. Different industrial sectors were also considered for DSM [48, 49, 50]. For instance, economic potential of intra-day DSM in a pulp and paper industry was conducted in Finland . However, commercial and industrial DSM schemes are out of scope of this current study. In particular, residential DSM strategies are mainly considered in this article. In terms of DSM in the developing world, far too little attention has been paid. To date, few studies have considered DSM opportunities in developing countries in a limited scale [51, 52, 53]. For instance, “demand response in Indian electricity market” was investigated ; technical and economic potential of DSM was assessed in Nigeria ; similarly, techno-economic and environmental benefits of DSM were also evaluated in Nigeria ; “Demand-side management in Nepal” was explored in ; energy conservation through human behaviour change at residences in Bangladesh was conducted in . A recent study in China has identified the opportunities for and barriers to demand response . Apart from these studies, in Brazil, it was found that resource management in relation to electricity consumption can save a large amount of energy; it showed that potable water saving of 10153835 m3/year results in electricity savings of 4.4 GWh/year . Energy, in particular, electrical energy, is one of the predominant factors in the economic development for any country. Globally, the growth in overall energy demand was dominated by Asia and overall demand increased by 2.1% in 2017; consequently, energy-related CO2 emissions increased in the same year, which is the result of extensive use of fossil fuels in the electricity generation sector . 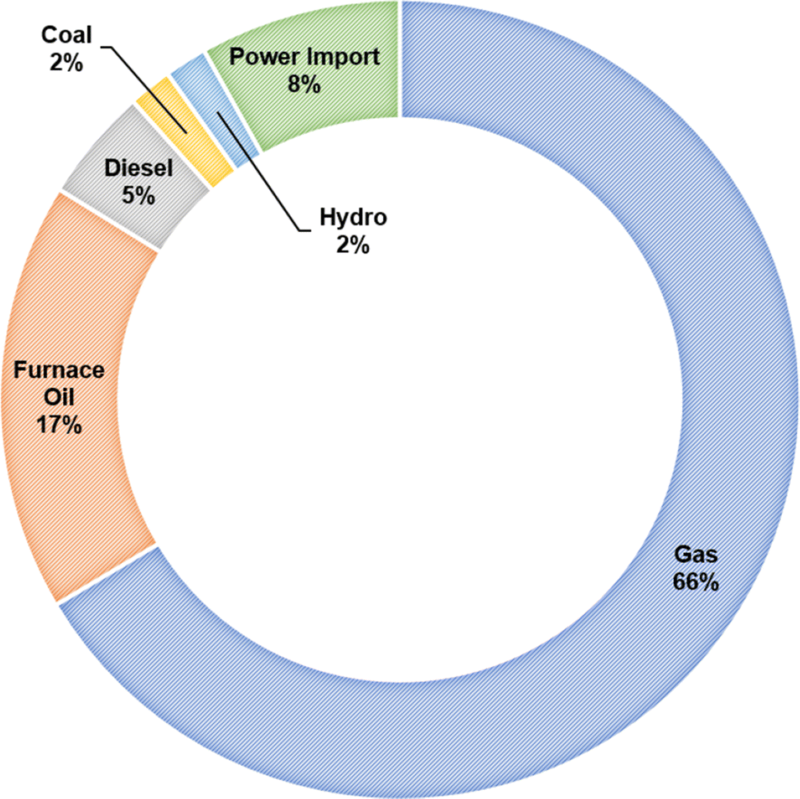 Bangladesh is not an exception to this trend; in 2015, 58.29 TWh of electricity was produced from fossil fuels; in contrast, only 0.57 and 0.16 TWh were generated from hydro and solar/wind, respectively . Net electricity generation for the fiscal year 2016–17 was approximately 57276 GWh. Fuel-specific generation shares are depicted in Fig. 1. Bangladesh has been chosen as a case study as it has moved from a developing country to a lower middle income country category very recently, and so the government of Bangladesh is developing an energy-related policy for future development, which includes power generation sector . Many developing nations are also moving in the same direction as Bangladesh at the moment and, thus, learnings from Bangladesh could be helpful for these to formulate their energy policies well in advance. Although electricity is indispensable for economic growth, extensive use of fossil fuels to generate electricity has adverse impacts on the environment, mainly in the form of greenhouse gas emissions. Hence, different measures have already been implemented around the globe to reduce emissions from the electricity sector, such as the introduction of DSM and renewable integration into the national grid. However, renewable integration into the electricity generation system of Bangladesh is limited due to resource constraints such as limited wind speed and limited hydro availability and storage capacity. Policy makers have, therefore, considered DSM strategies to reduce demand and emissions from the electricity sector. As a consequence, in 2015, with the support from the Japan International Cooperation Agency (JICA), the Sustainable and Renewable Energy Development Authority (SREDA) of Bangladesh developed an energy efficiency and conservation master plan (EECMP) up to 2030 as part of the DSM programme . According to this plan, estimated demand reductions potential in different sectors are illustrated in Fig. 2. Clearly, the residential sector is able to contribute the most towards electricity demand reduction and this is possible if all household electrical appliances are replaced by highly efficient ones. Although it may be true that efficiency improvement of home appliances is an effective DSM option, there are some challenges and barriers associated with DSM deployment [63, 64]. Of these challenges, capital cost and implementation time dominate . However, there are some other DSM opportunities that do not need to deal with these challenges. Residential energy-saving behaviour is one which has not been considered explicitly in the EECMP of Bangladesh. Sector-specific demand reduction potentials in Bangladesh (EE&C: Energy Efficiency and Conservation). Furthermore, “Results indicate that improving the energy efficiency of appliances in households leads to a significant reduction in electrical energy requirements but does not appear to have a significant affect on the peak electrical demand” . It was found that efficiency improvement of electrical home appliances could reduce consumption on average by 23% per annum per household, which might not have any impact on peak demands. Therefore, this study will investigate the potentiality of energy-saving behaviour as a DSM strategy in the developing world, focusing particularly on Bangladesh. The article is organized as follows: ‘DSM program development steps' section explains the steps involved in developing a DSM policy. ‘Types of demand response and its potentiality' section describes the different types of demand response schemes and their potentiality. ‘Energy-saving behaviour adaptation' section presents the steps showing how new energy-saving behaviour can be adapted. ‘Energy-saving behaviour and its effectiveness towards DSM' section discusses the findings, and the final section concludes the study with possible policy implications. The Electric Power Research Institute (EPRI) introduced the term ‘Demand-Side Management’ for the first time in 1980s. According to EPRI, DSM is defined as: “a series of measures intended to encourage specific groups of customers to modify their energy usage patterns in a manner consistent with the utility’s DSM objectives while maintaining or enhancing customer satisfaction” . In general, DSM is a measure to reduce load on the demand side (consumers) to ensure reliability on the supply side (electricity generation) and achieve benefits for both groups. For instance, it assures system efficiency, cost reduction for the grid operators; reduces electricity costs for end users, and also reduces carbon emissions from the electricity grid . Nevertheless, the success of DSM depends on three key steps during the development process namely, DSM policy development, appropriate strategy selection, and implementation, as shown in Fig. 3. DSM-related policy development can be conducted through one of the four ways as shown in Fig. 3 at step one. Of these, regulatory policy refers to the use of government laws, regulations and other instruments in achieving a desired goal (i.e. DSM success). From a voluntary point of view, a policy could be developed but participation in that program would be voluntary at the personal or organizational level. For example, a household might adopt a proposed DSM policy and practice it at their own pace without imposing any rules and regulations. Market-oriented policy development refers to a policy that is made by considering consumers’ choice, that is, more consumer service-driven decision making. Information-oriented policy development involves policymaking based on available related information on a particular matter (e.g. DSM schemes). The second step, strategy selection, deals with different available strategies in relation to DSM. These strategies might consider the energy efficiency improvement of different electrical home appliances for the residential DSM option or through energy conservation. In general terms, “energy conservation is the effort made to reduce the consumption of energy by using less of an energy service. This can be achieved either by using energy more efficiently (using less energy for a constant service) or by reducing the amount of service used1”. On the other hand, demand response involves time-based, incentive-based, and energy-saving behaviours, explained further in Sect. ‘Types of demand response and its potentiality'. Implementation, the last step in Fig. 3, is completed by any one of the four entities mentioned, depending on the first step. For example, if the policy is developed as regulatory through available information, it would be implemented by the government. If the policy is market oriented, it could be implemented either by a system operator (the central electricity authority) or service providers (electricity distribution companies). On the other hand, if it is a voluntary policy it is most likely to be implemented by the end users (e.g. residential consumers). One of the challenging tasks in achieving successful DSM is the selection of appropriate DSM strategies (the second step in Fig. 3), which is the main focus of this study in the case of developing countries. 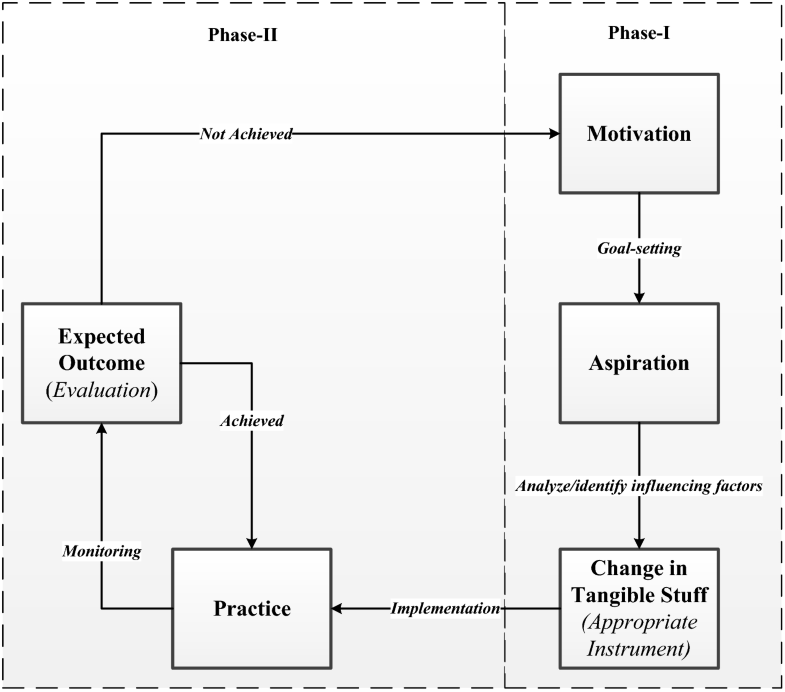 The key challenges associated with this step are illustrated in Fig. 4. In adopting any DSM strategy, the first challenge that needs to be dealt with is the overall cost involved for that strategy, such as capital costs. The next challenge is technology availability and compatibility for the selected DSM strategy, which may involve smart grids and meters, for example. Further issues include system complexity, how such complexity will be handled for the selected DSM strategy, for instance, generation fuel mix optimization in a highly renewable electricity system at the supply side . The final challenge would be the consumers: how consumers response to adopt DSM strategy. Often, ‘energy efficiency and conservation’ as a DSM strategy does not require direct consumer involvement; in contrast, most demand response requires consumers’ active participation in achieving a successful DSM program. Generally, demand response can be divided into two categories: time-based programs and incentive-based programs . Time-based programs are designed to involve consumers in controlling electricity consumption during peak hours and gain benefit from it, whereas incentive-based programs are dealt with by electricity companies and provide incentives to consumers. Some common time-based programs are Time of Use (TOU) tariff, Real Time Pricing (RTP), Critical Peak Pricing (CPP), and Peak Time Rebate (PTR). On the other hand, common incentive-based DSM programs are Direct Load Control (DLC), Interruptible or Curtailable rates (I/C), Demand Bidding (DB)/Buy Back (BB), Emergency Demand Response Program (EDRP), Capacity Market Program (CMP), and Ancillary Service Market (ASM). Details of these DSM strategies are well explained in [70, 71, 72, 73, 74]. However, to apply most of these DSM programs or strategies, electricity networks need to be on a smart grid. “A smart grid is an electricity system that uses modern information and communication technology (ICT) for better managing grid operation and balancing demand and supply” . DSM strategies can be further categorized as ‘stationary’ and ‘non-stationary’ or ‘dynamic’. In a stationary DSM scheme, “all consumers adopt fixed power consumption patterns as long as the system parameters (e.g. the consumers’ desired power consumption patterns) do not change” . Most of the DSM strategies nowadays such as TOU tariff are stationary. On the other hand, in ‘non-stationary’ scheme “the consumers may adopt different power consumption patterns (e.g. a consumer may shift its peak-time consumption today but not tomorrow) even if the system parameters remain the same” . Numerous studies have explained ‘non-stationary’ or ‘dynamic’ demand response using different algorithms [12, 36, 77, 78, 79, 80]. Most of these studies are simulation based. To date, only a few studies have tested the proposed algorithm in physical systems . One of the most promising algorithms is reinforcement learning (RL), which is an agent-based artificial intelligent algorithm . Study suggests that RL is not only able to design effective dynamic demand response schemes but also considers occupants’ comfort at houses [12, 36]. In addition, Lu et al. (2018) found that RL-based DSM scheme is able to maintain balance between supply and demand in the electricity market . At the same time, it also reduces energy costs at the consumer end. Globally, electricity generation system is transitioning from fossil fuels to more renewable options to ensure a low-carbon future. Therefore, future demand response strategies should consider the intermittent nature of the renewable sources . In this context, RL-based or dynamic DSM might be most appropriate [36, 79]. However, this requires further studies to confirm. A number of studies also considered DSM in relation to renewable generations [26, 83, 84, 85, 86]. For example, a study in Portugal found that adoption of DSM strategies could lead to delay in the penetration of renewable generation in the electricity sector . Tascikaraoglu et al. (2014) investigated a smart home system in conjunction with renewable sources and found that “good compromise between the renewable energy production and household energy consumption” can be achieved through demand flexibility . A recent study considered residential demand-side management options by integrating electric vehicles and renewable energy sources in Croatia . Energy-saving behaviour, on the other hand, is a potential demand response strategy that could play a vital role in managing electricity demand but has received less attention, as it is difficult to quantify its benefits compared with other demand response programs (e.g. TOU). Energy-saving behaviour can be categorized as investment and curtailment behaviour. The former approach requires financial investment to improve energy-saving behaviour, while the latter requires minimum or no monetary investment towards energy-saving [87, 88, 89]. All these demand response approaches are illustrated in Fig. 5. Numerous studies in the literature have considered DSM strategies through time and incentive-based programs. For example, suitability of TOU tariff to reduce peak demand has been investigated in several studies [71, 90, 91, 92, 93]; TOU can contribute to peak demand reduction by 1–6% [71, 90, 93]. Despite the fact that TOU can contribute to peak load reduction, it has been found to be an ineffective approach in reducing peak demand during peak hours for a family with children during weekdays in Australia . The study of Spees and Lave (2008) has reported that real-time pricing (RTP) is more effective (10.4–17.7% peak reduction) than TOU tariffs regarding peak demand reduction. Hence, TOU tariff is effective for flexible practices in the home which involve less social involvement (e.g. laundry and dishwashing). This finding is in line with the study of Laicane et al. (2015) in Latvia, who found that 24% and 13.5% peak load reduction can be achieved by shifting time of use of washing machines and dishwashers, respectively. Although CPP is expensive, this method of peak reduction was found useful for North America . 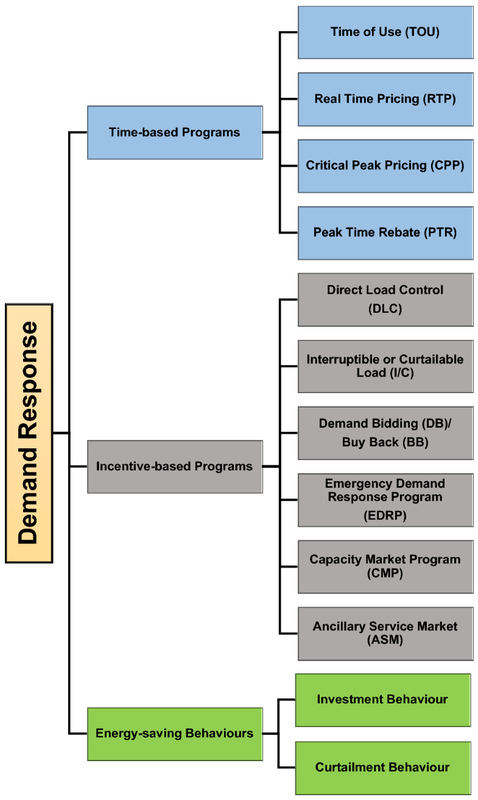 Detail reviews of these time and incentive-based demand response programs can be found in several recent studies, such as [24, 25, 68, 94, 95]. An extensive literature review on energy-saving potential through human behaviour change was conducted in the UK  and found that energy-use behaviour change through different interventions could reduce electricity consumption up to 20%. These interventions include, for example, direct feedback (e.g. smart meters) and indirect feedback (e.g. enhanced billing) . A recent study in China found that electricity consumption was statistically lower for consumers who received consumption information (i.e. indirect feedback) from the meter readers than other houses . This is in line with , who considered 42 feedback studies published between 1976 and 2010 and took into account feedback and pro-environmental behaviour in relation to household energy consumption; it was found that feedback is a promising strategy to conserve energy at houses. However, research also found that smart technologies such as in-home displays “….offer promise for encouraging energy conservation, but careful consideration should be given to the way that the feedback is framed” . In an early study, it was found that goal setting along with feedback resulted in higher residential energy savings than goal setting only . This finding was in line with , who found that goal setting could reduce energy consumption by between 19.5 and 21.9%. Residential electricity consumption can be reduced by adapting simple behavioural change; for instance, a Finnish study found that based on monthly feedback and focused energy-saving advice, 54% out of a total of 105 houses reduced energy consumption by turning off lights in unused rooms . Importantly, it was also found that without use of smart technologies, receipt of weekly electricity bills could reduce electricity consumption from 0.6 to 1% in the USA . In a similar manner, a study in Japan found that combination of monetary reward with feedback could reduce more consumption (8.2%) than monetary reward alone (5.9%) . In contrast with these studies, a study found that community-based programs such as ‘EcoTeams’ reduced electricity consumption by about 7% in the UK and the Netherlands . In a similar fashion, it was found that comparing electricity consumption of a household with its neighbours (i.e. peer comparisons) could reduce energy consumption by 2% in the USA . Most importantly, the study outlined that: “…non-price interventions can substantially and cost effectively change consumer behavior…” . A similar finding was also confirmed by , who found the reduction potential to be about 1.2%. In contrast, individualized energy audit and consultation were found more effective than peer comparison; reduced electricity consumption was found to be 7.4% . Overall, “social influence approaches are generally effective at encouraging resource conservation, compared to a control or a comparison group” . Furthermore, studies suggest that residential energy savings through behaviour change are faster than any other interventions [104, 113, 114]. In addition, peak time energy conservation through behaviour change can save between 15.7 and 21.7% . At the same time, Powells et al. (2014) have found some of the social practices that contribute to peak demand can be shifted through adaptable interventions (e.g. central laundry facility, where hot water is provided and heated by a solar heating system). The authors have also identified some practices such as cooking and meal times which are not flexible at all for families on shift work. In reviewing the literature, the success of different DSM strategies that can be achieved is depicted in Fig. 6. It can be seen that energy-saving behaviour as a demand response strategy could reduce demand by between 0.5 and 21.9%, with an average of 10.05% (median 8.2%). On the other hand, efficiency improvement and time or incentive-based (pricing) strategies are able to reduce demand within the range of 1 to 30% and 11 to 38%, respectively. Effective demand-side management strategy design for the residential sector depends on proper identification of factors that are responsible for driving electricity demand at houses. A large and growing body of literature has investigated different household factors such as building characteristics, socio-demographic characteristics and found relationship in driving residential electricity demand [115, 116, 117, 118, 119, 120, 121]. For example, Brounen et al. (2012) found that electricity consumption at houses varies predominantly due to family composition and income of the household . Dwelling characteristics, in particular, size of the house, have significant impact on electricity consumption and related expenditure . In India, Filippini and Pachauri (2004) found that area of the house and demographic characteristics such as ‘age of the head of the house’ have large impact on electricity consumption in urban area . A recent review study considered most of these household factors that contribute to electricity demand including peak demand at houses, in which the author categorized the factors as ‘climate and location of the dwelling’, ‘physical characteristics of the dwelling’, ‘household activities and services’, ‘economic capability’, ‘socio-demographic characteristics’, ‘cost of energy’, and ‘potential drivers of future residential consumption’ . Demand reduction, particularly during network peak hours, is crucial in ensuring security of supply and network reliability. Previous study suggests that demand response could reduce peak demand by 43% in the residential sector, whereas it is only 13% for both commercial and industrial sectors together in the USA . Thus, demand reduction through DSM strategies by considering different household factors is indispensable, so that a good balance between supply and demand is maintained. A recent simulation study in South Africa showed that household participation in DSM through optimal dispatch of household appliances such as cloth washers and cloth dryers could save a considerable amount of electricity, which in turns ensures security of supply during peak hours . Another study in South Africa proposed a ‘combined energy management system’ that considers both supply and demand sides for proper resource management . Li and Pye (2018) in the UK found that DSM flexibility involving household smart appliances and electric vehicles increases electricity system flexibility . In summary, DSM strategies including household factors that contribute most to residential electricity demand are crucial in ensuring electricity network’s reliability, security of supply and maintaining a good balance between supply and demand for the electricity system of any country. 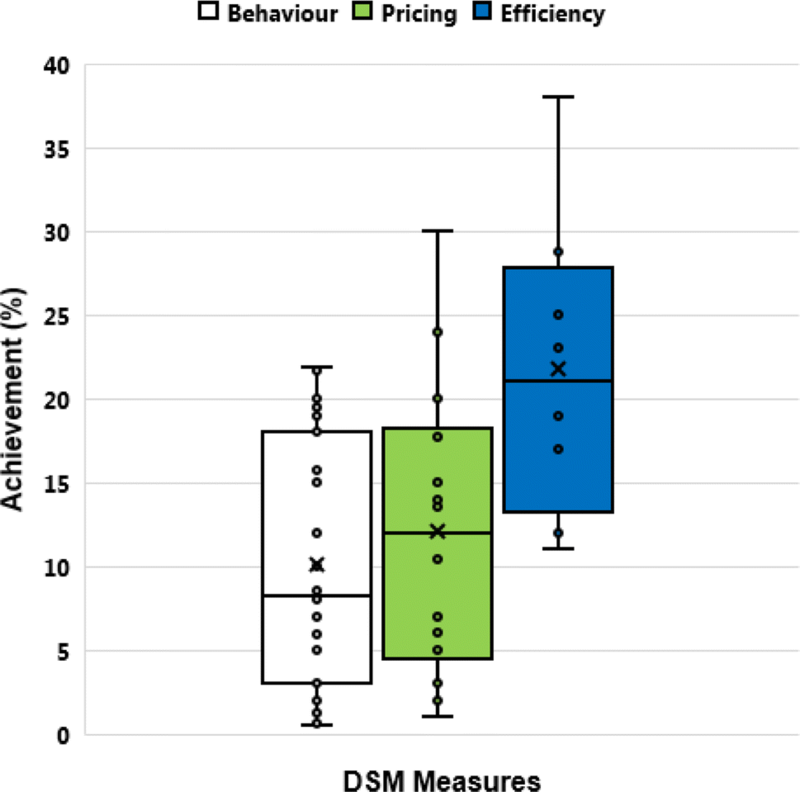 Long-term DSM programs in Bangladesh  did not include any strategies in relation to energy-saving behaviour change at residences extensively, except limited awareness development programs through electronic and print media . It is evident from the literature that different DSM strategies must deal with some investment costs at different levels of implementation, which has been depicted in Fig. 7. This is an illustrative example, as the investment cost (magnitude along the x-axis) and associated time (along the y-axis) to implement the DSM depend on many other factors in the developing world, such as government policy support and long-run self-sustainability of financial support to the program . 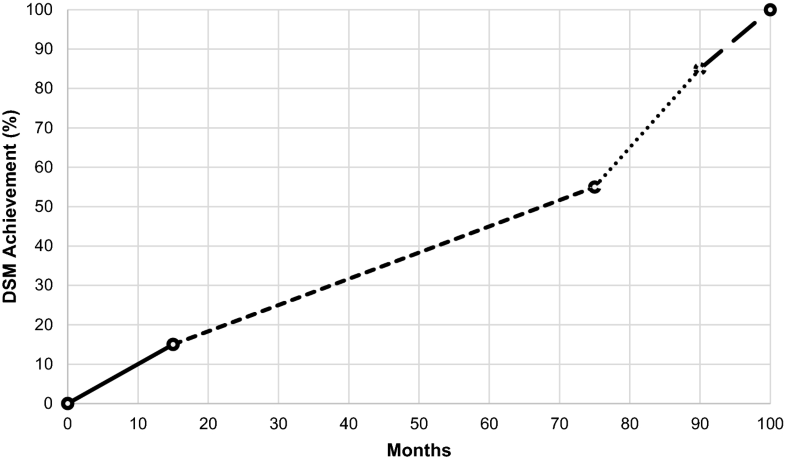 Nonetheless, the relation between investment cost and implementation time will follow the trend as indicated in Fig. 7. Evidently, technology involvement (e.g. efficient home appliance deployment, smart grid) in achieving DSM costs more than any other strategies, added to which is the lengthy time period required (cf. Fig. 7). On the other hand, energy-use behaviour change as a demand response strategy on the domestic level includes minimum or no cost, which requires relatively short periods of time to achieve demand reduction. Similarly, different pricing schemes (e.g. TOU) in relation to DSM after technology deployment would also take short periods for implementation. EECMP-2015 did not consider this initial step of DSM in domestic settings (i.e. 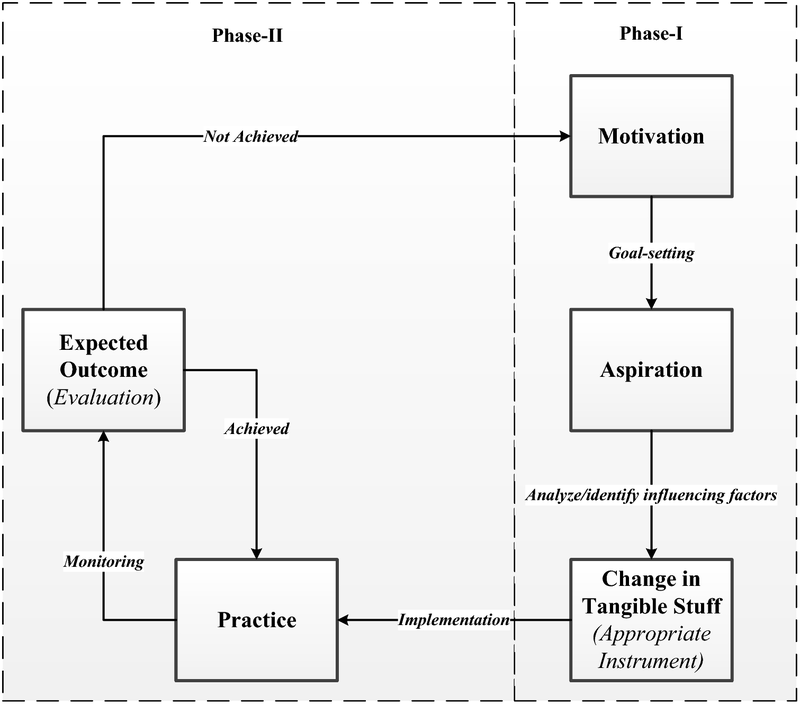 behaviour change towards energy conservation), but rather focused directly on the second step (see Fig. 7) efficient technology deployment, which requires a considerable amount of investment and longer time periods to be implemented . As a consequence, although the planned DSM strategy was proposed in 2015, its outcomes are still insignificant . In achieving a properly planned DSM strategy for the residential sector for any nation, four consecutive steps need to be followed over time as illustrated in Fig. 8. Firstly, immediate demand response, which is achievable through consumer behaviour change, needs to be initiated and this would take about 12 to 15 months, with about 15% DSM achievement. Secondly, appropriate technology deployment such as energy-efficient appliances, smart grid and in-home displays would take longer, with about a further 40% DSM achievement. Thirdly, after related technology deployment, appropriate pricing schemes (cf. Fig. 5) would ensure a further 30% DSM achievement within 10 to12 months. Finally, 15% DSM achievement would be implemented through proper code and regulations, taking about a further 10 to 12 months. Although it may be true that the potential for reducing household electricity demand will depend on users’ proper interaction with the latest energy management technologies, such as in-home displays , these also have limitations such as limited efficacy , whereas studies show that demand response programs, such as targeting energy-saving behaviours in homes, can be implemented faster than any other approaches such as technological efficiency improvement and are a relatively effective strategy that provides immediate results [104, 113, 114, 127, 128]. Generally, energy conservation can be achieved in two ways: first, through technology deployment, such as energy-efficient appliances; second, human or consumers’ energy-use behaviour change (i.e. energy-saving behaviour) in their homes. The former requires considerable time and costs to be implemented. In contrast, the latter can be achieved relatively faster than the former with no or minimum costs. New energy-saving behaviour in homes can be adapted, which follows a cyclic order as depicted in Fig. 9, which was first proposed in , involving two phases. Phase I deals with personal goal setting, analysing the influencing factors related to energy consumption and identifying appropriate technology or instruments to achieve the goal. In general, phase I considers human psychology towards a new behaviour adaptation. On the other hand, in phase II, the psychological thought in relation to new energy-use behaviour applies to the real world that is, practice and evaluation. This is explained with an example below. To change any energy-use behaviour, it is necessary to be motivated towards this practice, as the first step towards new energy-associated behaviour in residences. This motivation can be achieved through different sources, for instance, from society, related campaigns, education or even from economic factors. For example, a person might be motivated to reduce their electricity bill by reducing unwanted consumption at home (lights remaining on in an unoccupied room). This motivation inspires the person to set a goal in relation to electricity reduction that is ‘aspiration’. In achieving the targeted goal, the person makes affordable changes in concrete terms, for example, replacing conventional bulbs with compact fluorescent lamps. Next, the person tries to learn and practice possible energy-saving behaviours such as switching off electric loads (e.g. lights, fans) in unoccupied rooms: practice. Later, at the end of the month the consumer measures their level of achievement by checking their electricity bill or by any other means, for example, indirect feedback: expected outcome. If the desired outcome is achieved, this practice and outcome cycle continues, otherwise the process starts from the beginning (i.e. motivation step). Although studies suggest that this type of new behaviour change does not always persist [129, 130], it might be an effective energy conservation step at the beginning of any DSM program. For example, this type of energy conservation might be effective before technology upgrades, such as energy-efficient appliance deployment, with immediate results in energy conservation, which is about 21.7% (maximum)  and faster compared with other energy conservation strategies [104, 114]. One study found that “…a changeover to more energy-efficient appliances will have a beneficial effect on the electrical energy consumption of domestic households, with annual average reductions in electrical consumption of 23% for the households under investigation, such a measure may not necessarily be effective in reducing daily peak power demands of the individual households” . In contrast, energy conservation through occupants’ energy-use behaviour change can save electricity up to 21.7% during peak demand hours . At the same time, energy-use behaviour change does not require any significant capital cost. Thus, energy-saving behaviour could be an effective DSM options in any environment, in particular, developing countries, where DSM strategy deployment is either at the planning stage or at initial implementation stage. Communication, outreach and information sharing with consumers are the vital pillars towards a successful DSM that involves residential energy-saving behaviour. At the beginning of this demand response program, a campaign would be an effective approach to involve people by sharing-related benefits of the program and to inform them that their potential participation would help to achieve certain DSM goals, which would be beneficial for both the consumer and supplier as well as for the environment. Most often, involving local institutions and community leaders seem advantageous in achieving maximum involvement of the consumers. Consumer enrolment is the second pillar to ensure effective energy-saving behaviour in a focused demand response program. It is important to define easy and effective ways or methods of enrolment for consumers to the program. It is necessary to target particular consumers, so that energy-saving scheme can achieve immediate success, which would be a reference for other consumers to be motivated and effectively engage in the program. In selecting the consumers for enrolment, the young generation is a good choice as they are more responsive to any new positive technological changes. 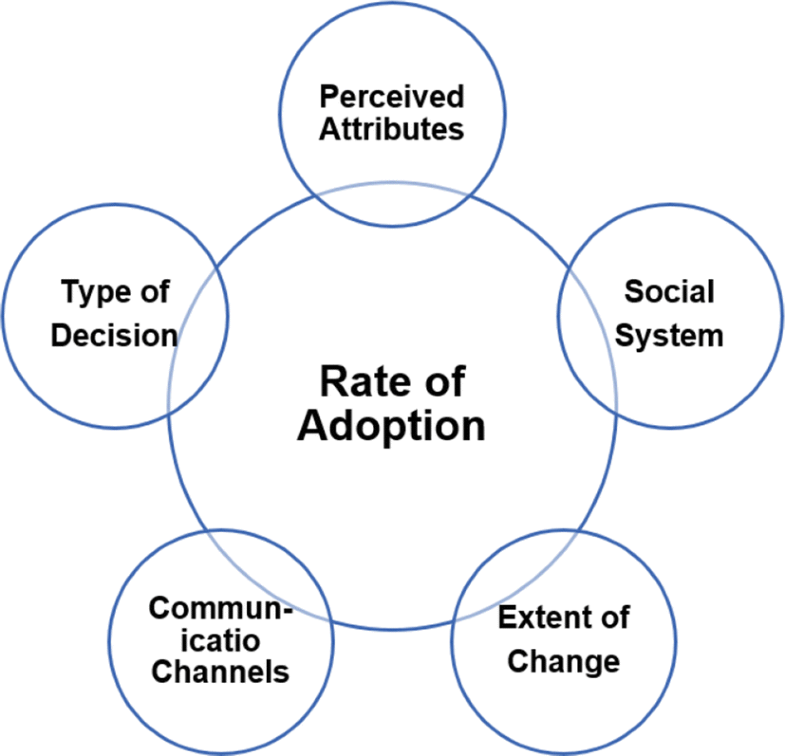 However, the rate of adoption depends on many other factors, illustrated in Fig. 10 and detailed in . 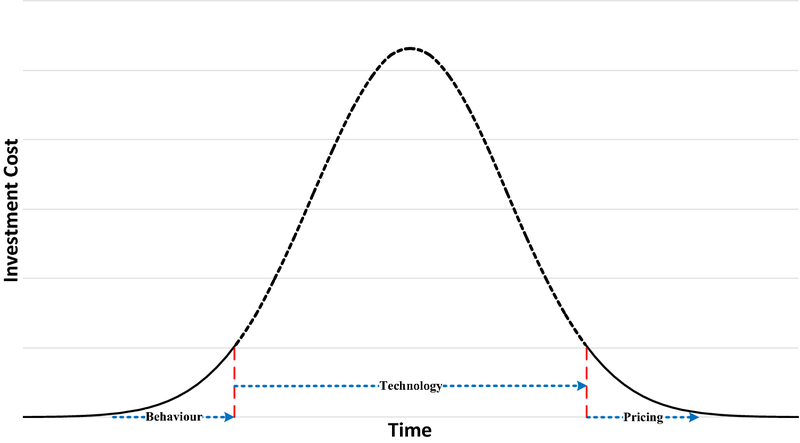 Perceived attributes of any innovation depend on several variables such as relative advantage of the program or innovation, compatibility, complexity, trialability, and observability. Types of decision may be optional, collective or authoritative. Effectiveness of communication channels in adopting the program varies from mass media to interpersonal. The nature of the social system also contributes to the adoption of the program based on its norms and degree of interconnectedness. Extent of change refers to ‘the relationship between rate of adoption and change agents’ efforts’ and it was found that “…. the greatest response to change agent effort occurs when opinion leaders are adopting”  . Consumer experience is the next pillar that needs particular attention. Essentially, a consumer’s expectation from the energy-saving program needs to be assessed at regular intervals—weekly, fortnightly or monthly. Importantly, the level of success achieved by consumers needs to be clearly demonstrated to them, which would inspire further active participation. In contrast, if the achievement is not satisfactory, further suggestions such as development of technical knowledge through training or in-home tutorials and possible required changes in the home need to be recommended by the staff employed for the project. In doing so, it is also important to ensure proper communication channels between consumers and the staff of the program, so that immediate support via phone or internet can be provided to the consumers depending on their needs. Track the improvement with respect to the reference or base case scenario. Monitor the overall growth of the program, including all aspects, such as marketing, acquisition, achievement, retention and benefits. Ensure reporting for different segments of the program such as executive, financial, operations. Redefine the goals and associated targets, based on the learnings from the program. Share the achievement and success with employees and consumers through different means (e.g. electronic or print media) to motivate them further. Despite the benefits of energy-saving behaviour as a demand response strategy as mentioned earlier, it has some limitations too  such as: achievements are temporary and need continuous motivation [129, 130, 133]. In addition, there might be direct and indirect ‘rebound effects’ due to this energy saving, that is, savings from energy services might be used for other similar services [134, 135, 136, 137, 138]. The concept of ‘rebound effect’ refers to a set of mechanisms that would be able to reduce the cost of the energy service; however, this reduction might increase the household energy consumption totally or partially negating the reduction achieved by the mechanisms . In direct rebound effect, the consumers might be motivated to consume more electricity at off-peak period. On the other hand, in indirect rebound effect, the consumers may purchase other goods and services which might have similar negative impacts. Nevertheless, ‘indirect rebound is bounded by the consumer budget constraint’ . For instance, a study in Beijing, China found that increase in energy efficiency of certain electrical home appliances such as air conditioners, cloth washers, and microwave ovens increases the indirect rebound effect significantly along with direct rebound . Although it may be true that residential energy-saving has these shortcomings, it is one worthwhile strategy to adopt at the beginning of any DSM plan as it requires a minimum amount of capital cost with immediate success. Most of the demand-side management studies to date have tended to focus on developed nations, and developing countries have received less attention in this particular aspect. Possible reasons might be technological limitations (e.g. smart grid) associated with capital costs in relation to the DSM strategy development and deployment. Although it may be true that there exist technological limitations in the developing world, there are other potential DSM options available that might reduce electricity demand including peak demand, particularly at the household level. Energy-use behaviour change of householders is one of these potential DSM strategies, which not only requires minimum time to be implemented but also provides immediate success as a demand response program. Most often, this potential option has been neglected or underestimated in the developing world in relation to national DSM strategy development. Bangladesh developed its national DSM plan in the electricity sector considering energy efficiency and conservation measures in 2015. This is a beneficial and timely initiative, but the plan did not extensively consider all the DSM potential strategies. For instance, energy-saving behaviour has not been considered in the plan at all, whereas studies suggest that energy-saving through householders’ behaviour change could potentially contribute energy reduction in the range of 0.5–21.9%. In the light of the findings presented in this study, a national DSM plan for Bangladesh may need to consider energy-saving behaviour as a strategy to obtain full benefit of the DSM at each step of the program. As capital cost of any project is a major barrier (i.e. economic barrier) in most of the developing countries , energy-use behaviour change could be a potential demand response scheme at the beginning of a long-term DSM plan. Public education or related knowledge development through campaigns in relation to any new demand response strategy deployment is an important aspect towards the overall success of the DSM program. Ensuring more informative electricity bills for consumers [107, 114] would be a key element in motivating more people to participate in energy-use behaviour change towards an effective demand response program (an illustrative example is shown in Fig. 11 in the Appendix). A second DSM strategy could be appropriate technology deployment (energy efficiency measures or smart grid development). Thus, applying time and incentive-based DSM programs would be beneficial. Not all energy efficiency-based measures would be viable in achieving DSM; hence, modest pilot projects might be an effective option in identifying most appropriate options, which would be successful in the longer term. Moreover, subsidies can be an effective step at the beginning of any pilot project. Implementation of related regulations might be the final step in achieving maximum outcomes of DSM strategy deployment.